The St. Paul Warriors were undefeated under new head coach Nate Pineda after taking down the GW Geckos over the weekend. Tuesday presented their toughest challenge yet by hosting the top seeded ND Royals, and ND would prevail in three sets 25-14, 23-25, 25-23. 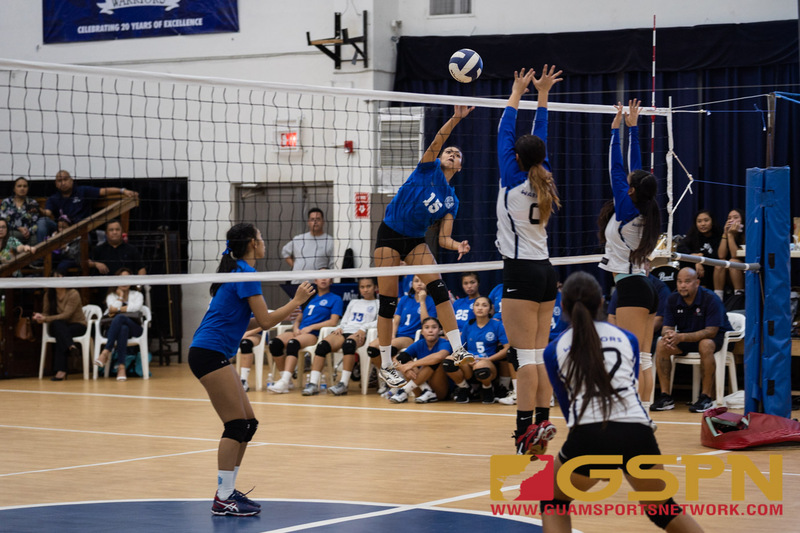 The usual work horses were putting in work for the Royals as they were led by Bri Leon Guerrero, Ella Balajadia and Austia Mendiola. Taking advantages of free balls were key in the Royals win as they overcame strong night from Warriors Niah Siguenza and Monica Giger. Ally Santos gave the Warriors a big boost off the bench, but the Royals frontline proved too strong to overcome in the later sets.